Always wanted to go to the top of the world - but felt it was too challenging, costly, or environmentally irresponsible? 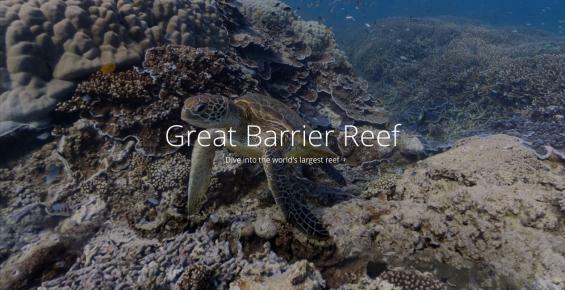 You can now, with Google Trek, the newest addition to Google's immensely popular Street View programme. Its mission is simple but wonderful: to capture and share images of places its cars cannot reach. Thanks to the dedicated work of volunteers around the world carrying cameras as heavy as 18kg on their backpacks, you can see incredible places... yet save money, avoid air travel (one of the biggest contributors to greenhouse gas emissions), and reduce the negative impact of human presence in nature. Anyone and everyone who’s used Google Maps knows that there’s a street view option that helps people understand the location better. It was a breakthrough achievement and even led to the creation of websites solely dedicated to only bringing the funniest Street View images to the public. And with over 20 petabytes (1 petabyte = 1,000,000,000,000,000 bytes) of photo data collected from around the world last year, you would think Google Maps might be bored with taking photographs of places… But nothing could be further from the truth. Google Trekkers are already busy with new projects as volunteers hike across 100 miles to capture images of the UK’s 200-year-old canal networks stretching from England to Wales, and of the Abel Tasman National Park’s natural beauty in New Zealand. And there’s more coming soon – Google has officially promised the debut of Galapagos Islands and Venice via Google Trek. Want to be part of the Google Trek team and contribute pictures of landmarks from your country? You can also rent one out to help Google map out more images of street views. Check out its website to see how you can be the next Google Trekker here. For more information check out Google Map’s Behind the Scenes website here.